Cormac, a musician from Tallaght in Co Dublin, has been playing music and singing songs from an early age. 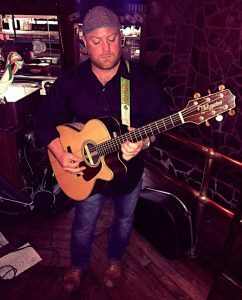 Cormac has toured Ireland, England, Australia and is now making his way across the United States both as a solo artist and with The Young Wolfe Tones band. He will be playing solo at the Claddagh Cottage.